Dimensions 2.50 by 8.50 by 11 in. Telecommunication in education; Research; Handbooks, manuals, etc. Communication in education; Research; Handbooks, manuals, etc. Educational technology; Research; Handbooks, manuals, etc. 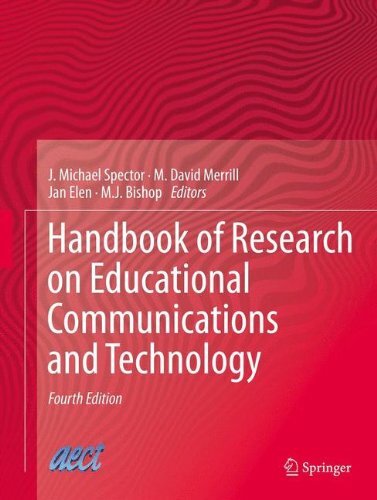 About: The 4th edition of the Handbook of Research on Educational Communications and Technology expands upon the previous 3 versions, providing a comprehensive update on research pertaining to new and emerging educational technologies.